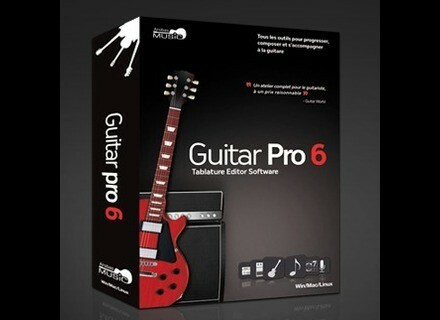 Guitar Pro 6, Tablature Editor from Arobas Music. Starting today until Wednesday 31, users will have access to special prices on Guitar Pro 6 and on the digital tabs portal mySongBook.com. 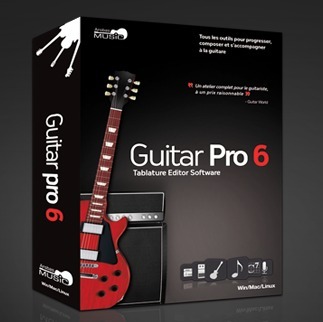 For any Guitar Pro 6 license or upgrade purchased, 100 additional soundbanks are given away (worth: €/$15.99). mySongBook subscribers will discover new songbooks at the special price of €/$9.99 (i.e., with a 50% discount). The 13 songbooks are presented according to styles: BLUES, VINTAGE ROCK, 70'S ROCK, MODERN ROCK, HARD ROCK/METAL, ACOUSTIC, POP, CLASSIC, JAZZ, GUITAR/VOCALS, EASY SOLO GUITAR, FERNANDO SOR ETUDES and FRANCISCO TARREGA ETUDES.